At this point, you’re probably sick of hearing about the promised adoption of cryptocurrencies. This was the major driver behind the speculations that led to the bubble in 2017. Everywhere I went, I would read about how adoption would be the game changer for cryptocurrencies. The word was thrown around so much that it almost lost its meaning and value. Today, after the dust has settled, many Initial Coin Offerings (ICOs) that raised funds in the previous months are due to deliver their promised products. The products that attracted hundreds of millions of dollars in investors money. Investors that had dreams of islands and Lambos. Unfortunately, most of these projects are finding it hard to deliver successful and useful working products that have actual purpose and value to average consumers. In other words, most projects are finding it much harder to deliver on the promised adoption of their coins. In this piece, I will discuss the difficulties facing the adoption of cryptocurrencies and the importance of overcoming those difficulties. I will also give an example of a project that is tackling this successfully and how I see that project developing. Any consumer-based technology is useless if people can’t use and access it easily. Smartphones that are difficult to operate tend to fail. Services that are hard to reach will inevitably fail. The average consumer doesn’t go out of his or her way to access a technology that is not readily available to him or her. Therefore, the accessibility and the ease of use of a technology can be the main driving factors behind its success or failure. Unfortunately, cryptocurrencies today are not easily accessed. This applies to both, trading and actual use cases. This means that adoption is a challenge to any project out there. The first and most obvious benefit of adopting a currency is the financial one. In a simple supply and demand model, more demand will result in an increase in the price of the product. In other words, the more the people need your product (or token in this case), the higher its value. Most of the tokens available today are utility tokens. This means that the value of the token is completely dependent on its usage. The more the token is used, the more the demand for the token, and the higher its value going to be. This may be obvious to anyone in the cryptocurrency space, but might be vague to anyone else. Therefore, as an investor in a project or an owner of a token, adoption of that token will result in higher returns on its price. The second benefit of adoption is technology awareness. When any project gets adopted by the public as an innovative solution to existing problems, it puts the whole Blockchain sphere under the spotlight. This is good for the industry as a whole. Like any new technology, the Blockchain technology has its doubters. Having a project that provides a solution that the people need and adopt means that the technology has actual use cases that can be useful to several industries. Once we start having several projects providing solutions to different problems, the Blockchain technology will have a strong foundation to build on. The fact is that no one knows the potential of the technology today just like no one knew the potential of the internet when the first email was sent. This ambiguity is encouraging as it provides the real promise behind the potential of the technology. 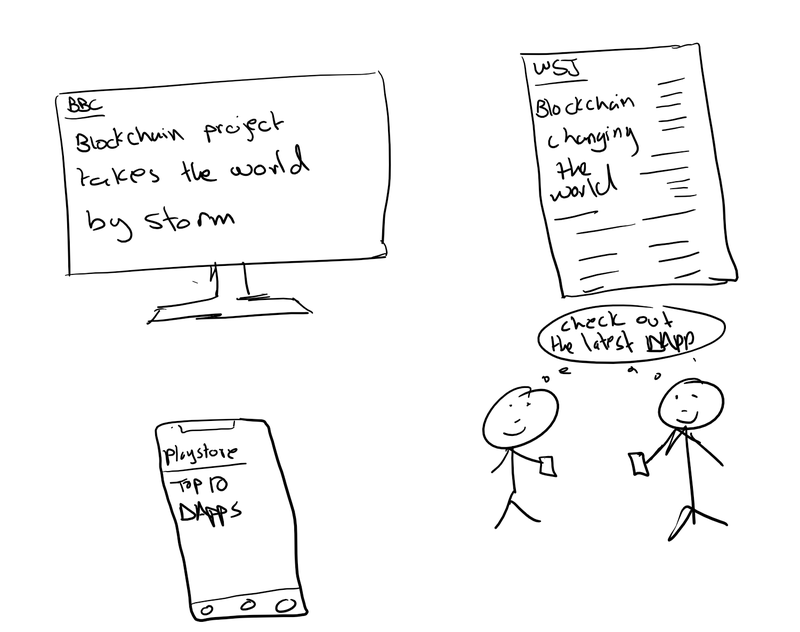 Unfortunately, many projects tried to ride the Blockchain hype to attract investors. This means that most of the existing projects don’t even require blockchain technology. In fact, using the Blockchain technology for some aspects can result in unwanted bottlenecks that can be avoided if the technology isn’t used. This means that the products developed are more likely to be redundant and not useful to the average consumer. Such projects naturally will not be able to attract the consumer and therefore fail in achieving adoption. Simply put, if the Blockchain doesn’t provide an advantage, using it would probably be a disadvantage. Therefore, unless you really need it, don’t use it. It is essential to have a product that is easily accessible to consumers. The simpler the process is to access the product, the more adoption the product will get. 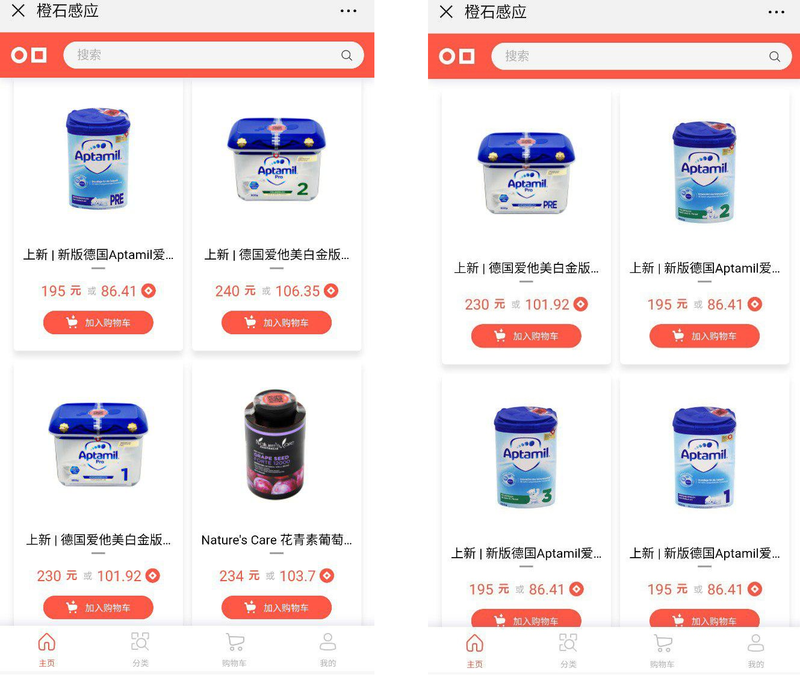 Availability of the products on the usual marketplaces is essential to allow users to find and access the product easily. Without access to the product, it cannot be adopted. To solve this problem, the Decentralized App (DApp) needs to be available on platforms that are easily available to consumers. 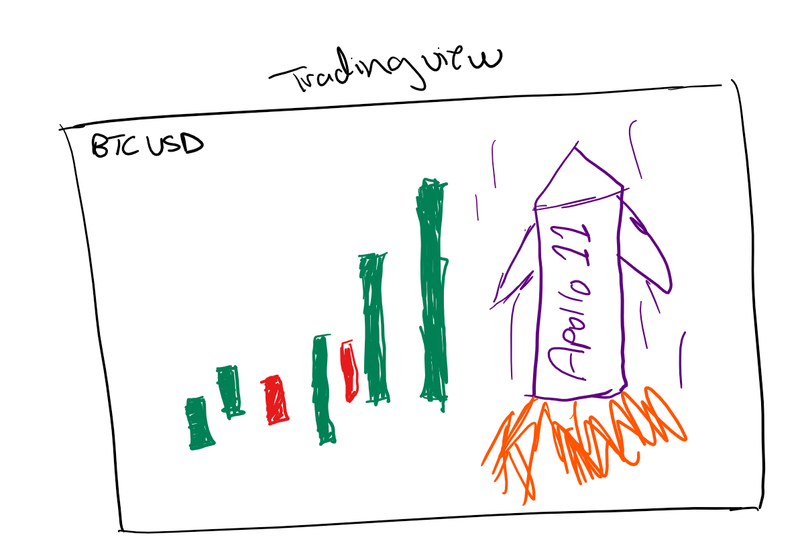 The DApp should also have simple and useful User Interface that will be attractive and easily used by the average consumer. Plenty of projects try to focus on development and ignore the marketing aspect of their project. In other words, many projects take the “Build it and they will come” approach. While this may occasionally work with exceptional projects where all the stars align, that is usually not the case. Ignoring the marketing of the project will leave the developers with a project that has limited to no users. In return, the project doesn’t achieve its potential when it comes to adoption. The solution to this is to use a smart marketing campaign throughout different stages of the project. This starts at the inception of the idea and continues until the product achieves its anticipated adoption levels. To elaborate on the points I mentioned above, let’s use Tael as a study case. I believe that Tael checks many if not all of the boxes that I mentioned above and that will help make Tael one of the most adopted Blockchain projects. I will go through the timeline of Tael since their Initial Coin Offering (ICO) until today. I will elaborate on the different things that they did right and how they are working hard to ensure the adoption of their project. Tael is the reward token that is associated with Techrock ecosystem. The Techrock ecosystem allows verifying the authenticity of products using RFID tags and Blockchain technology. This reassures consumers of the authenticity of the products they are buying and the safety of their usage. The first and most important point is that Tael actually needs to use the Blockchain. The supply chain industry as a whole can be revolutionized by the Blockchain solutions. Thanks to the Blockchain technology, Tael’s RFID tags provide Banking Level Security to test for the authenticity of the products provided. Every product scanned is verified over the Blockchain where data cannot be modified or falsified. Therefore, this provides the consumers with a level of trust in the products they are buying that they never had access to before. 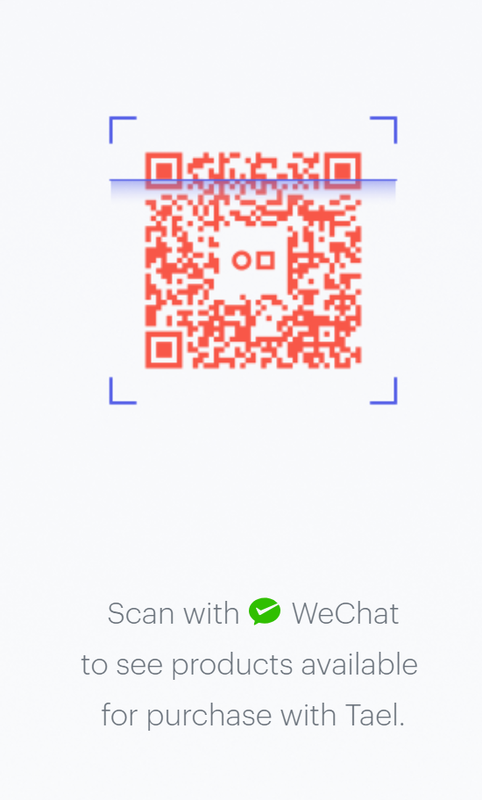 A simple scan of the QR code displayed on Tael’s website (and shown below) using the WeChat app can give instant access to the different products that can be purchased with Tael. Having the product available on WeChat makes it readily available to the targeted Chinese consumer. This can significantly improve the adoption of Tael’s products. The products are also available to be bought offline in stores that Tael is expanding to as we will see next. With that huge media coverage on different platforms, Tael carried one of the most successful ICOs of the year. Afterward, the team spent almost a year working on developing a product that delivers on their promises. In late 2018, the first step in the post-development marketing efforts was the re-branding of Wabi to Tael. That was the team’s first step at their aim to make Tael one of the most adopted projects out there. The team clearly stated their intent to pursue adoption on their telegram channel earlier this year. 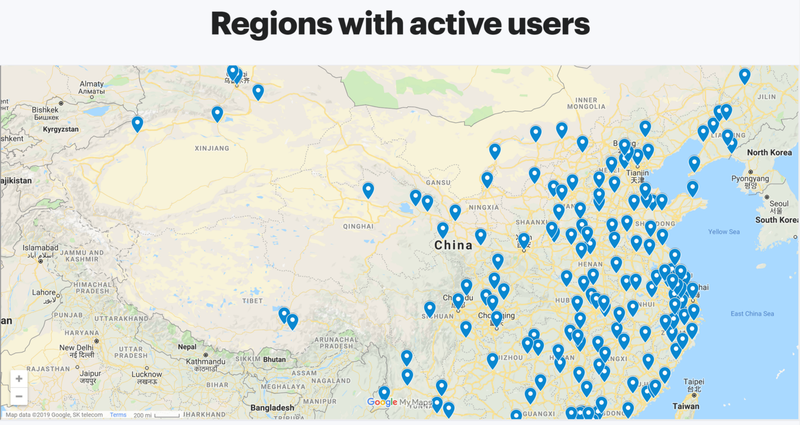 Expanding to 100 cities in China — Done. Q2 milestone completed ahead of schedule. Techrock initiates major roll-out: hundreds of offline locations, starting in Beijing. In a few months period, the project managed to announce several partnerships with major corporations including Mitsubishi UFJ Financial Group (MUFG). Such partnerships and agreements were also accompanied by several announcements that focus on expansion and growth to achieve high adoption levels. 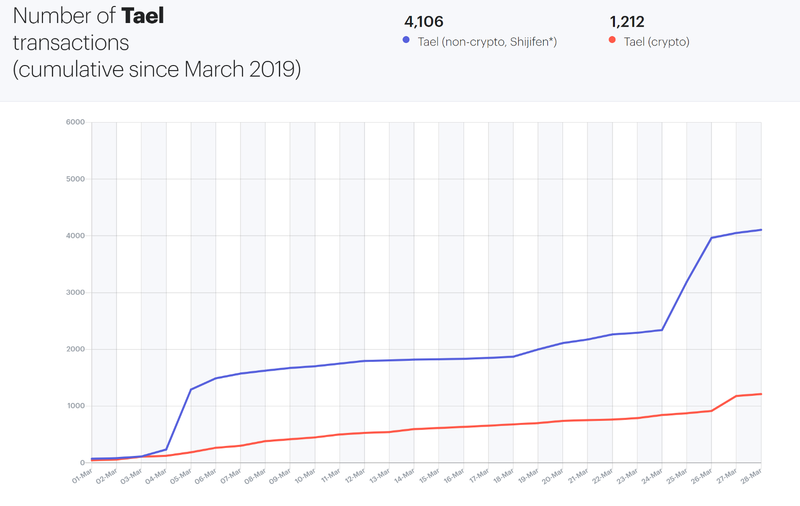 Finally, to emphasize even further on the importance of adoption, Tael created a designated page for adoption statistics. The page shows all sorts of statistics regarding the adoption of the Wabi token. 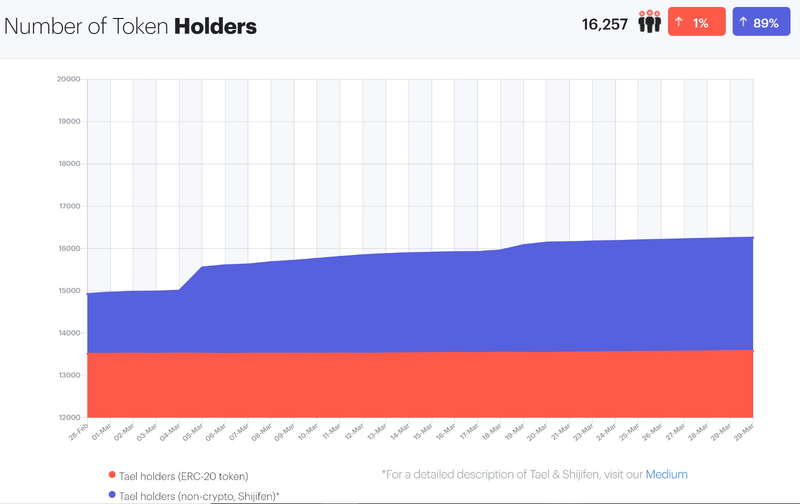 The first set of statistics shows a significant jump in the number of non-crypto holders of the token during the month of March. That is another major indicator of the increasing adoption levels of the token and I think that a lot of that has to be credited to the expansion to the offline stores. The next piece of information shows the locations where people have purchased Tael protected products. As seen below, their products have been shipped to a wide variety of locations across China. Expansion to different locations is also an influential factor of adoption. Finally, the picture below shows the number of transactions for Wabi tokens. Once again, we notice huge jumps in the number of transactions for non-crypto users which also indicates real-world usage, aka adoption. The adoption page will be continuously updated by the team to reflect on the adoption rates of the project. I personally see Tael as a great example of how things should be done. Ease of access and availability, the use case for the Blockchain, as well as the marketing efforts put into the project make it an ideal case scenario of how an ICO should be run. With the continuous efforts of the team, making it one of the most adopted projects seems to be well within reach.